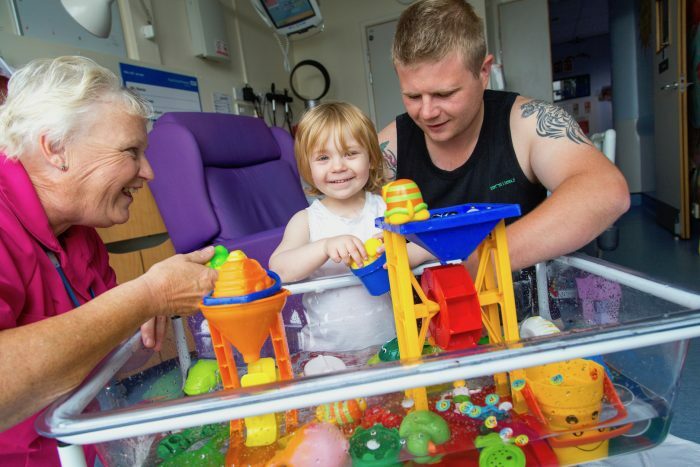 Patients are diagnosed and treated faster, families and loved ones are more comfortable, and staff travel out of county for specialised training all through generous support given to Royal Cornwall Hospitals Charity. Advancements and innovations in healthcare provision help return patients back to health quicker, yet are hard to predict. Royal Cornwall Hospitals Charity capitalises on these advancements by purchasing state-of-the-art equipment, providing healing environments, registering staff for specialty training sessions, and supporting critical research projects. The thoughtful support of patients, family, community members and staff who donate and fundraise for Royal Cornwall Hospitals Charity moves care at Royal Cornwall Hospitals NHS Trust’s three sites (Royal Cornwall Hospital in Truro, West Cornwall Hospital in Penzance and St Michael’s Hospital, Hayle) beyond the basic provisions of the NHS. RCHT serves the 535,000 people of Cornwall and the Isles of Scilly. This number drastically increases in the summer months, when we see an increase in visitors and tourists. 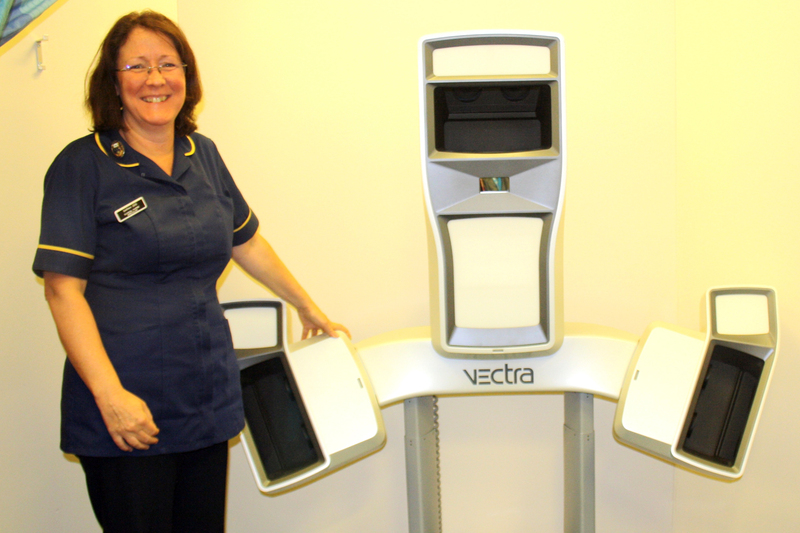 Allowing for 360° body imaging, the Vectra provides complete 3D imaging solutions for our breast cancer patients in the Mermaid Centre. The Vectra captures breast images in ultra-high resolution 3D and is used to explore possible outcomes and educate patients about their potential procedures. 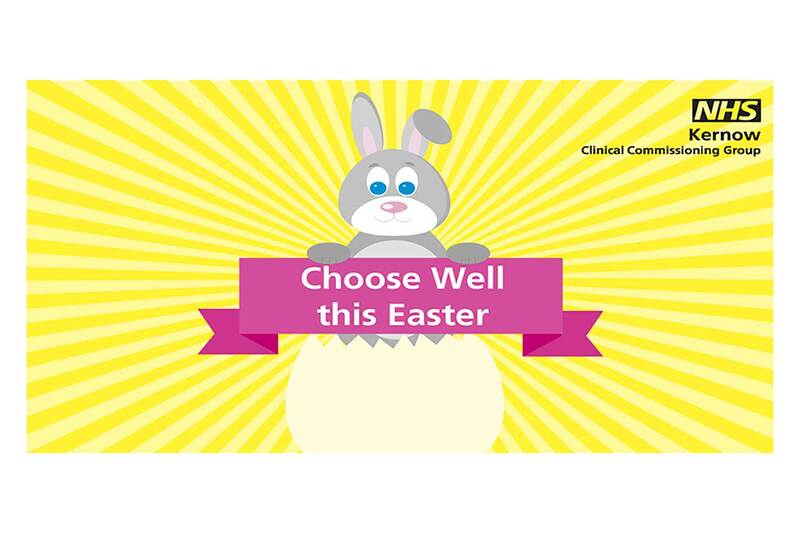 It also allows clinicians and patients to work together to create a shared understanding of treatment objectives for customised treatment plans. Staff and relatives now have a more calming, comfortable room for sensitive conversations on the Critical Care Unit. With newly purchased furniture and amenities, the Relatives Room now looks and feels like a living room in someone’s house. 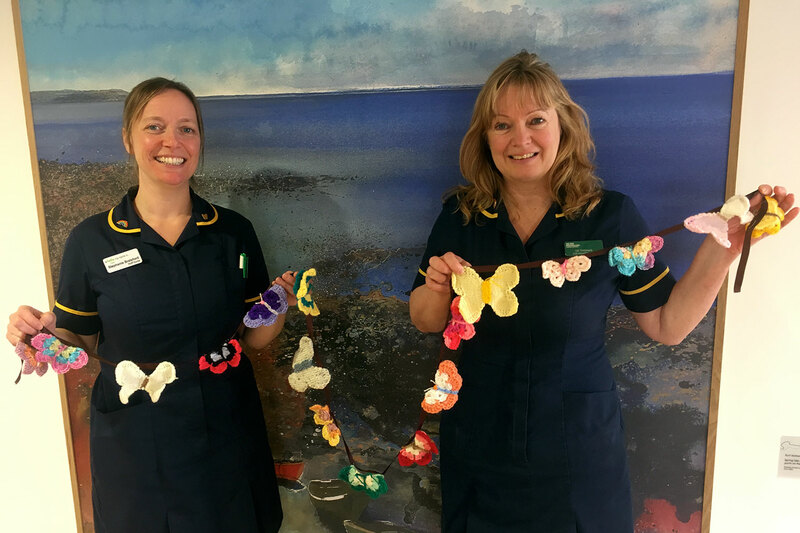 Staff on the Critical Care Unit requested funding to decorate the room, adding an extra level of care & compassion to the families of patients in the most critical conditions. At times, the Relatives Room is used to impart bad news to patients’ loved ones, so it is important to provide the best environment possible. Prior to the refurbishment, the room was bare and cold, hosting plain white walls, a couple of old chairs and two metal filing cabinets. Now, relatives can experience a more calm and relaxing experience with soft-coloured walls, beautiful paintings of Cornwall, cushions & sofas, and soft-lighting from corner lamps. The room has been decorated using shades of blue, which is said to decrease blood pressure, as well as slow respiration and heart rates – proving its purpose even further. 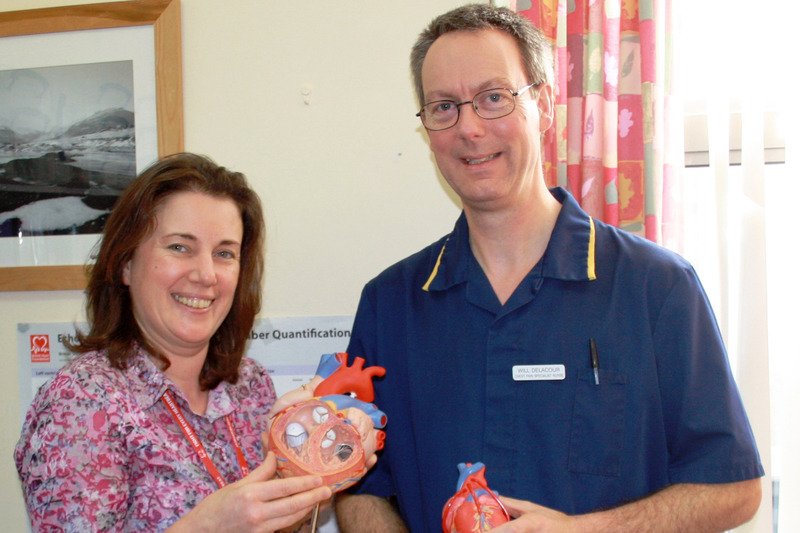 The Chest Pain Team, Heart Function Team and Cardiac Rehab Team all have access to these heart models. Used in sequence, the models tell a story of how intervention can help repair and rebuild hearts, making them stronger and healthier over time. Nurses use the models as teaching aids to facilitate patient education and increase treatment compliance. Kids that come to Harlyn Ward now have their own area to have fun and play! Thanks to 12 Days of Christmas funding and capital developments, an old unused toilet facility has been transformed into a bright room with plenty to keep these curious patients entertained. 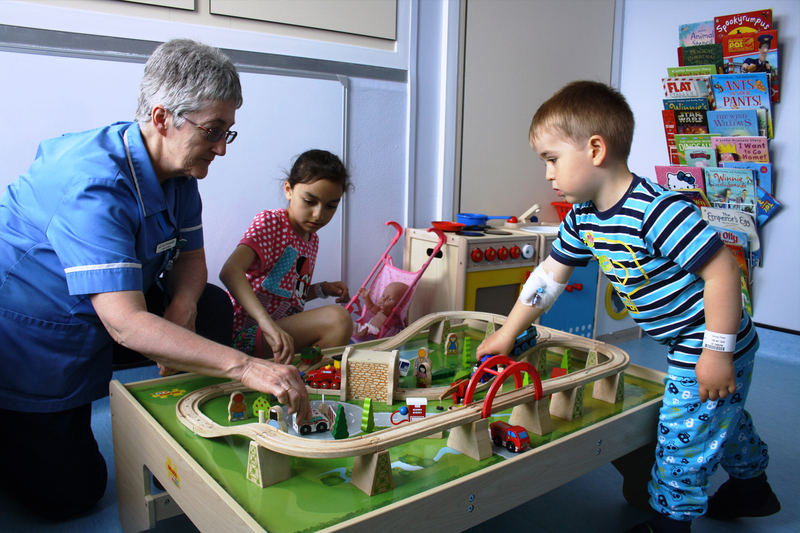 With a train track, kitchen, work bench, and painting supplies, the playroom is used as an ice-breaker to help staff connect with children before they go in for operations. It is also an area where children and their families can use during recovery, after surgery. Prior to having the playroom, children didn’t have a fun area where they could be monitored by staff. They often stayed in bed with their families. After just 2 weeks of being open, staff observed improvement in the recovery and activity levels of their young patients.